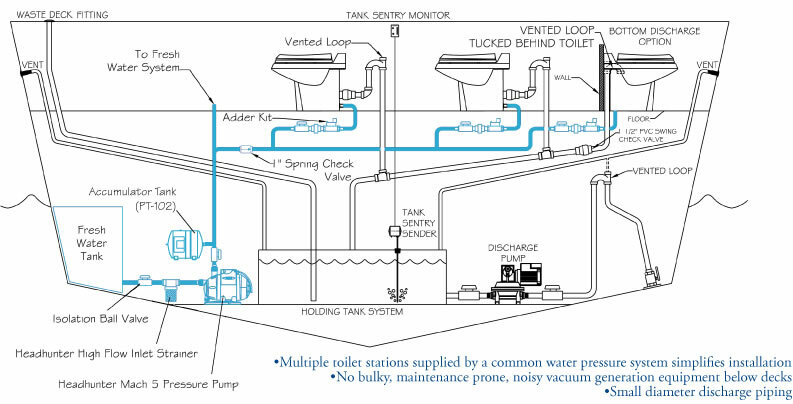 Central System | Toilets | Headhunter Inc.
A Royal Flush Central System is configured by supplying two or more Royal Flush stations with pressurized water from a central source. 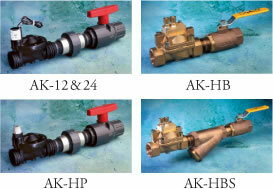 The water supply to each toilet in the system is controlled by a dedicated Adder Kit shown below (consisting of an isolation ball valve, a union, and an electric or nonelectric flush valve with self-cleaning inlet strainer). Activating the tough switch opens the flush valve, releasing pressurized water to the jet macerator.